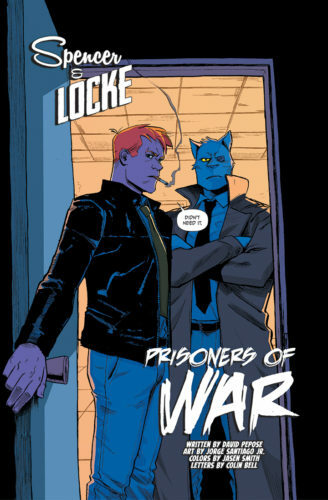 A suspended cop and his imaginary friend, a trenchcoated panther, have finally put the pieces of their fractured psyches together — sort of. 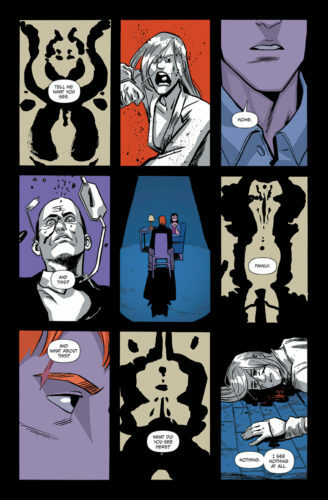 Now they have to put the pieces of a mystery together and track down an ex-soldier whose PTSD has put him on a murderous rampage. 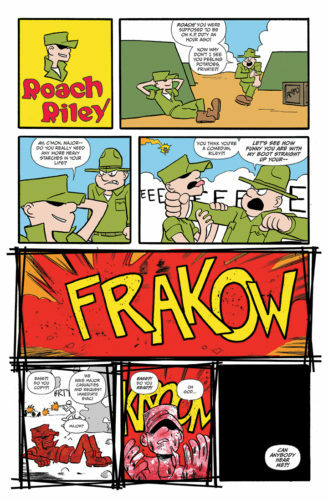 They aren’t who you remember from the Sunday Funnies. 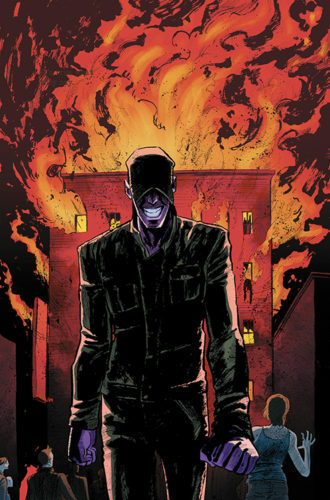 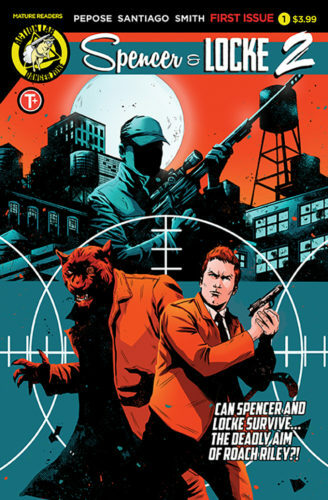 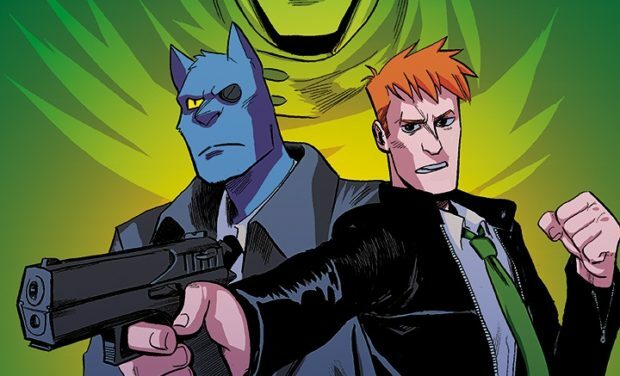 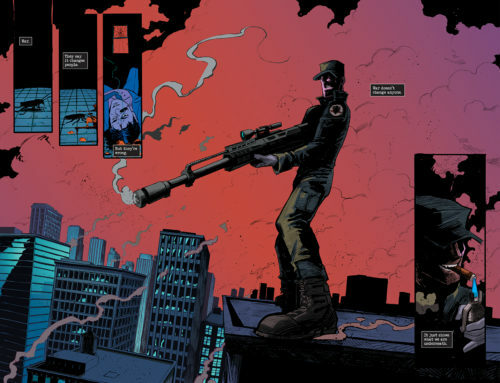 Where the first mini-series of Spencer & Locke combined Calvin & Hobbes with Sin City, the second installment from David Pepose and Jorge Santiago, Jr. opens up the world to characters from other comic strips you might remember. 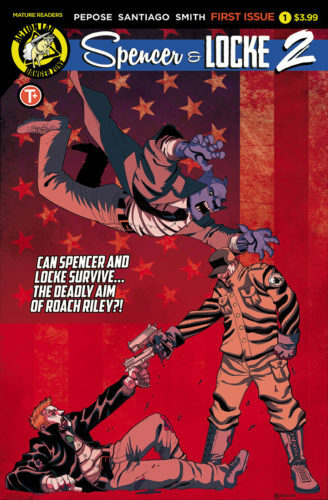 It’s dark, questioning, and gripping, as Detective Locke takes on Roach Riley, back from the war and ready to make others play. 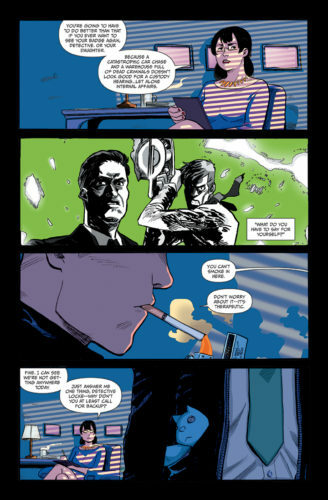 You can listen to our interview with David and Jorge here! 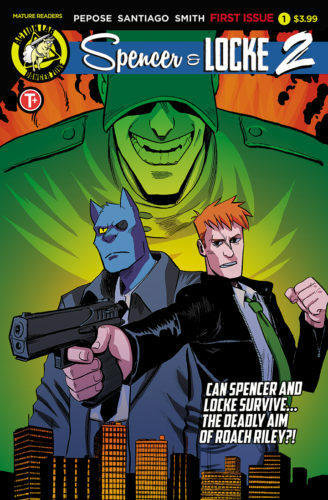 Then come back and order the first mini-series here if you can’t find it at your local comics shop!